When it comes time to replace your home’s water heater, you’ll have hundreds of models from which to choose. To make the right decision for your family, consult this primer on the many water heater options available today. The water heater is the home’s unsung hero, reliably operating behind the scenes to make possible many of the modern conveniences we take for granted—hot showers, washing machines, dishwashers, and more. If your existing water heater has outlived its useful life and it’s time to replace it, consider the virtues of a high-efficiency model, typically designated by an Energy Star rating. Not only does an efficient water heater conserve H20 (good for the environment), but it also saves energy (good for your wallet). 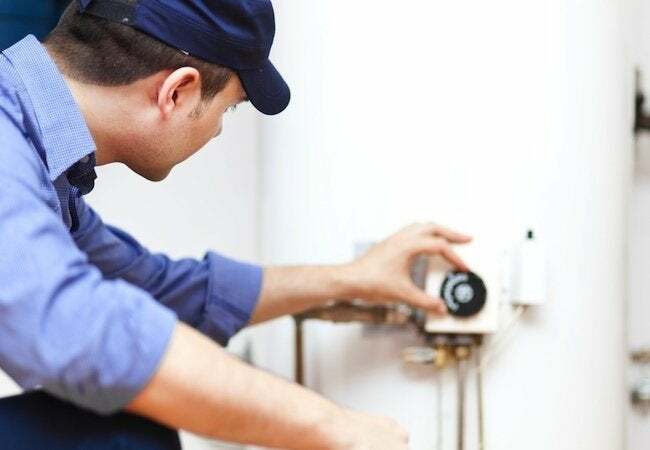 While installation is best left to the professionals, one job that you can certainly do yourself is choosing among the different types of water heaters on the market. This, the most common type of water heater, includes an insulated storage tank that holds a quantity of heated water, anywhere between 30 and 80 gallons. What powers the appliance? That depends largely on the services already present in your home, but any of the usual suspects—natural gas, liquid propane, oil, or electricity—can be the fuel source for this type of water heater. Inside the tank, a gauge reads the temperature of the water, and when it drops below a preset level, the unit kicks on to bring the water temperature back up. That process of continual heating goes on 24 hours a day, seven days a week, even when you’re sleeping or away on vacation. So, in effect, you’re paying to heat water that isn’t used. But whenever you do need hot water, it’s there waiting and ready in sufficient supply. Conventional storage water heaters come in many sizes; a small tank suits the modest needs of a bachelor, while larger tanks meet the demands of a family with multiple children. Draining and flushing the water heater twice a year to eliminate built-up sediment and minerals. Testing the pressure relief valve to ensure it is in good working condition. Before you begin any work on the water heater, remember either to turn off the power supply or to set the gas switch to the pilot position. In comparison with conventional water heaters, the tankless variety promises significant energy cost savings, because it heats water only upon demand. In other words, the only water that you end up paying to heat is the hot water you actually use. Sounds great, right? The downside is that tankless heaters are dogged by a low flow rate: Moving only two to five gallons per minute, a tankless cannot accommodate more than one household use simultaneously. So if you are running the dishwasher, you can’t take a hot shower. For that reason, many homeowners have installed multiple tankless units (feasible thanks to their compact design), each devoted to a different set of appliances and/or fixtures. Whereas a conventional water heater lasts 10 or 15 years, a tankless can be expected to function reliably for 20 years or more. That longevity comes at a cost, however; tankless heaters sell for about double the price of conventional models. Hire a licensed plumber to flush the unit regularly (at least once a year) to eliminate accumulated mineral deposits. Powered by electricity, this type of water heater works to intensify the heat it draws from the air, transferring that heat to a quantity of water contained within its storage tank. Because it works in concert with the environment, an electric heat pump system performs best in hot climates, where the technology can be up to three times more energy efficient than a traditionally designed unit. For an electric heat pump water heater to operate at peak level, its air filters must be cleaned regularly. Otherwise, recommended maintenance is no different than with a conventional storage water heater. A free and limitless energy source—the sun—powers solar water heaters, which are practical in any climate, contrary to popular belief. This type of water heater features two parts: a solar collector and an insulated storage tank. Sometimes, the unit installs on the roof; other times, in the yard. Active solar water heaters distribute water by means of a pump, while passive models rely on the force of gravity, not on manmade mechanics. – Direct circulation systems: A pump circulates water through solar collectors and into a storage tank (suitable for regions with no extreme cold). – Indirect circulation systems: A pump circulates an antifreeze solution through solar collectors and a heat exchanger, the latter of which heats the water (popular in regions where temperatures reach freezing). – Integral collector storage systems: Solar collectors in the storage tank heat the stored water, which then flows into the home’s plumbing via gravity. 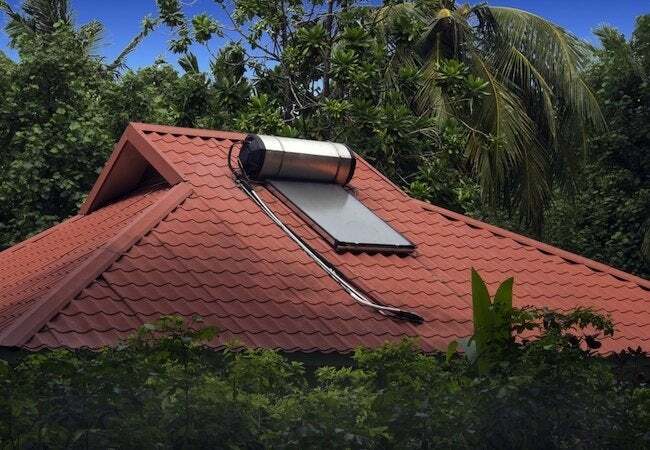 – Thermosyphon systems: Solar collectors heat from below, causing the heated water to rise, from which point it travels naturally into the home. There have never been more types of water heaters for a homeowner to consider. But if you reflect on your needs, determine how much you wish to spend, and weigh your level of commitment to energy efficiency, you should have no trouble choosing the right model for your home and family. 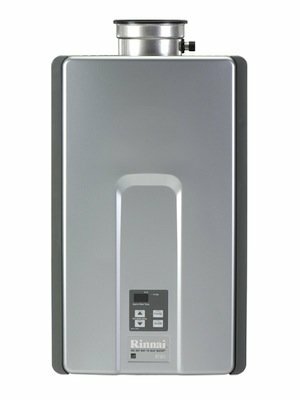 Tankless Hot Water Heaters: Should I or Shouldn't I? What Are You Going to Do When Your Water Heater Fails?